US President-elect Donald Trump has decided to nominate retired Marine Corps Gen. James Mattis for defense secretary, and a formal announcement is expected by early next week, The Washington Post reported Thursday. Mattis, a former commander of the Central Command, has been widely considered the No. 1 candidate for defense secretary as Trump said last month that he had a "very impressive" meeting with him and lauded him as "the real deal" and "a true general's general." The Washington Post said the decision will be announced by early next week. It cited unidentified people familiar with the matter. CNN carried a similar report. Mattis, 66, retired in 2013 after serving 44 years in the military. Nicknamed "Mad Dog" because of his tough talk and eagerness to fight, he is considered something of a legendary figure and is well-respected not only in the Marine Corps but also throughout the US military. As Central Command leader, Mattis oversaw all US forces in the Middle East. But his hard-line views on how to deal with Iran were at odds with the administration of President Barack Obama. He has also been an outspoken critic of the Iranian nuclear deal. Mattis is considered a supporter of alliances with foreign countries, a departure from Trump who has accused allies of relying on the United States for their defense without paying enough. Having allies pay more for American troops was one of his top campaign pledges. During a discussion at the Center for Strategic and International Studies in April, he reportedly said that he was troubled by President Barack Obama's remarks in a media interview that there were "free riders" accepting US help without reciprocating. Mattis is expected to seek a hard-line policy on the North. The Washington Post said Mattis favors a tougher stance against US adversaries abroad, especially Iran. He called the Middle Eastern nation "the single most enduring threat to stability and peace" in the region, and said the Iranian nuclear deal won't stop its acquisition of nuclear weapons. His blunt statements have caused controversy, including his 2005 remark, "It's fun to shoot some people." 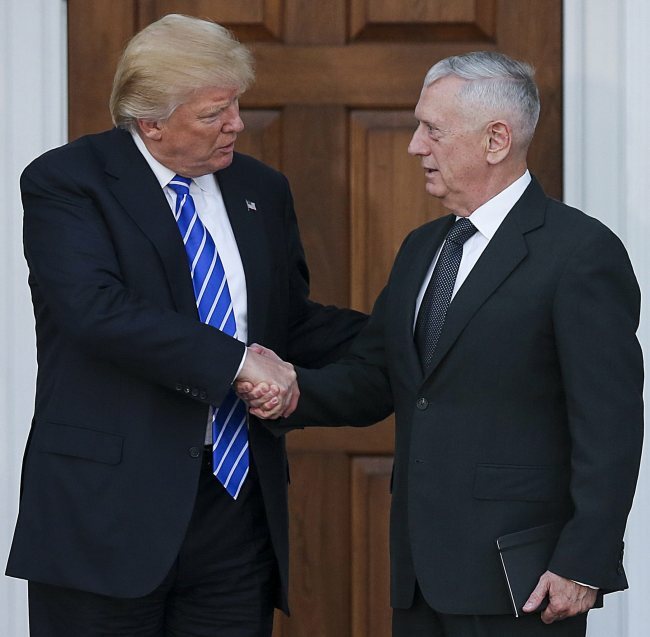 Should Trump decide to nominate Mattis for defense secretary, the nomination would need a waiver from Congress because it would run counter to the regulation that a retired officer can become defense secretary only seven years after leaving the military.